What are you doing on the long Martin Luther King, Jr., holiday weekend? 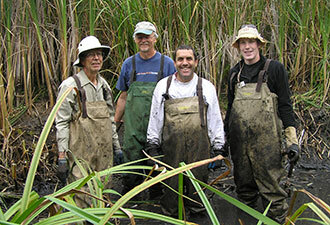 Interested in a weekend get-away combined with a service project on January 18, the National Day of Service? How about throwing a dart on the United States map so that it lands in the San Francisco Bay Area! If you enjoy the outdoors, you'll love a long weekend in GGNRA. You can experience a "working" Nike Missile Site at the Marin Headlands, visit Alcatraz, the world famous former maximum security federal prison, enjoy the conversion of Crissy Field from an abandoned airfield into hundreds of acres of productive coastal wetlands, walk amid breathtaking coastal redwoods at Muir Woods, admire views of the Golden Gate Bridge from Fort Point, and relax on some of the best beaches and hiking trails in the nation. Drive up the Pacific Coast Highway in Marin County to Muir Beach and look for the sign that directs you to Muir Beach Overlook. At the Muir Beach Overlook you can hike to the tip of a rocky promontory, and enjoy views of migrating whales and the California coastline. 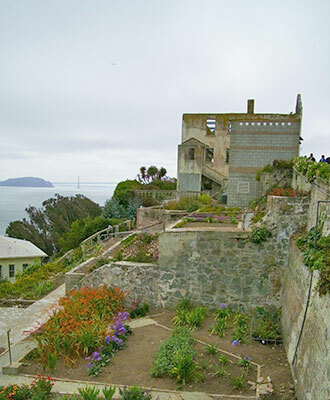 If you prefer to stay in and around San Francisco, reserve a visit to Alcatraz Island for a close-up look at the site of the first lighthouse and US fort on the West Coast and the infamous federal penitentiary that was long off-limits to the public. Make sure to reserve tickets ahead of time at website www.alcatrazcruises.com . Enjoy the serenity of the tiny cove of China Beach, which lies between Baker Beach and Land’s End where there is a wonderful hiking trail with breathtaking views of the Golden Gate Bridge. China Beach provides access to the water and a place to stretch out or picnic in the sun. For a perfect way to end a perfect day, visit the Sutro Historic District and admire ocean views from the dining rooms of the Cliff House—which have been at this location since 1863. See Sutro Heights Garden and walk freely among its garden tree species, stone satyrs, and delicate flower beds. And when you’re feeling refreshed from your weekend and want to give back to the national park, join one of the Day of Service events. 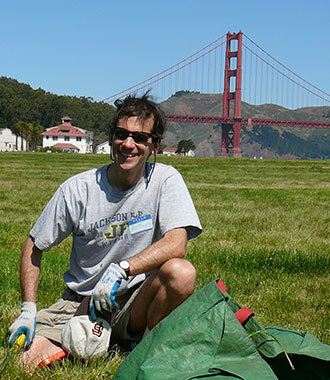 The Golden Gate National Parks Volunteer Program is a cooperative effort of the Golden Gate National Parks Conservancy, the National Park Service, and the Presidio Trust. For more information and to sign up: visit www.parksconservancy.org/volunteer, call (415) 561-3077 or (415) 561-4755, or email volunteer@parksconservancy.org. For information on Golden Gate National Recreation Area, go to www.nps.gov/goga.